People may assume that a night guard is like a retainer and is only necessary when people need to straighten teeth or keep teeth aligned after wearing braces. The reality is that a night guard has more uses to prevent pain in the jaw and other issues. A common reason we recommend night guards is due to people who wake up with a sore jaw or pain in their teeth. Even if the pain dissipates later in the day, patients will go to sleep and wake up with the same pain the next morning. Eventually, this pain can wake people up in the middle of the night, interrupt sleep and make tasks during the day more difficult. With a night guard, our team can help patients to avoid this pain. We offer night guards as an effective method to prevent the pain in one’s jaw from grinding teeth while asleep. The main cause for the pain in one’s jaw and teeth upon waking up is due to one grinding their teeth at night, known as bruxism. This condition occurs when someone grinds their teeth during sleep unconsciously. Bruxism can also involve clenching or gnashing the teeth, which places a strain on the jaw. The longer someone avoids seeking treatment, the worse the pain will get. 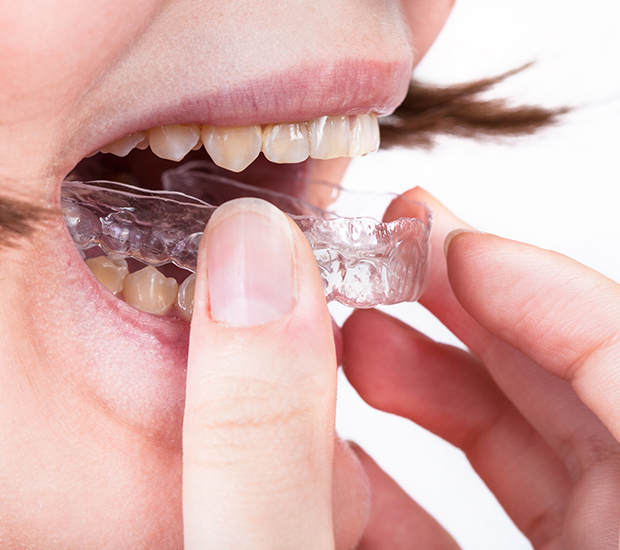 By seeking a custom-fit night guard at our practice, we can ensure it fits correctly to provide the maximum level of support. Since the patient will continue grinding teeth at night due to bruxism and other factors, the night guard prevents both arches of teeth from grinding on each other. Stress is one of the major factors that cause bruxism. Many people may not even fully realize they are stressed enough that it is causing bruxism. In other cases, people will believe the pain is due to another condition. Since the pain from grinding one’s teeth can vary, some patients may avoid seeking treatment right away. Store-bought night guards are not the most effective investment for patients to make. This is due to the fact that the store-bought brands will not fit properly. In other cases, the night guard will be painful to wear and can possibly alter the position of the teeth in an unhealthy way. This is where our night guard treatment comes in. We will create a mold from the patient’s teeth so we can build a night guard that fits the patient’s teeth perfectly. With this higher-quality fit, we can help patients remain comfortable while wearing the night guard. After we take the mold of the patient’s teeth, we will have a dental lab construct the night guard per any specifications. 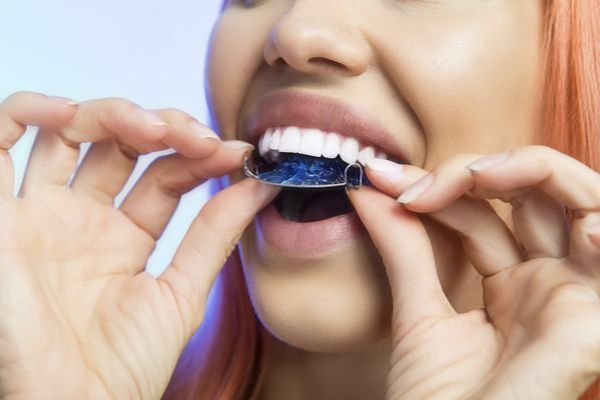 Similar to a retainer one may wear after a teeth straightening treatment, the patient merely puts the night guard in each night before bed and removes it the next morning. Taking care of the night guard is not too difficult. 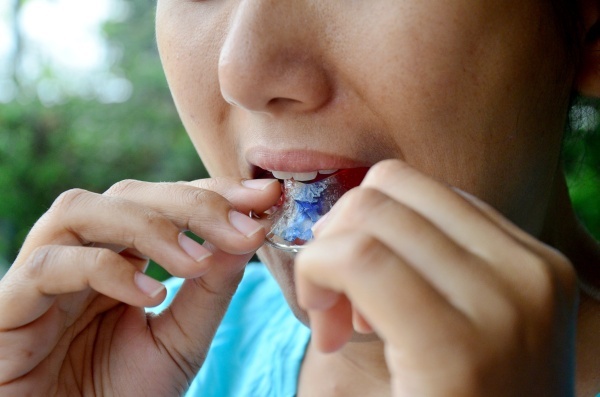 Just as with other types of retainers, the patient needs to brush their teeth before and after using the night guard. Along with that, gently brushing the night guard can also help to keep it clean. We can over proper care techniques in greater detail during a consultation. We will answer any questions and address any concerns the patient has. If you believe that you or a loved one are suffering from grinding teeth at night, then call us today and schedule an appointment. We can help see if a night guard or another option will be the most effective treatment for your needs.